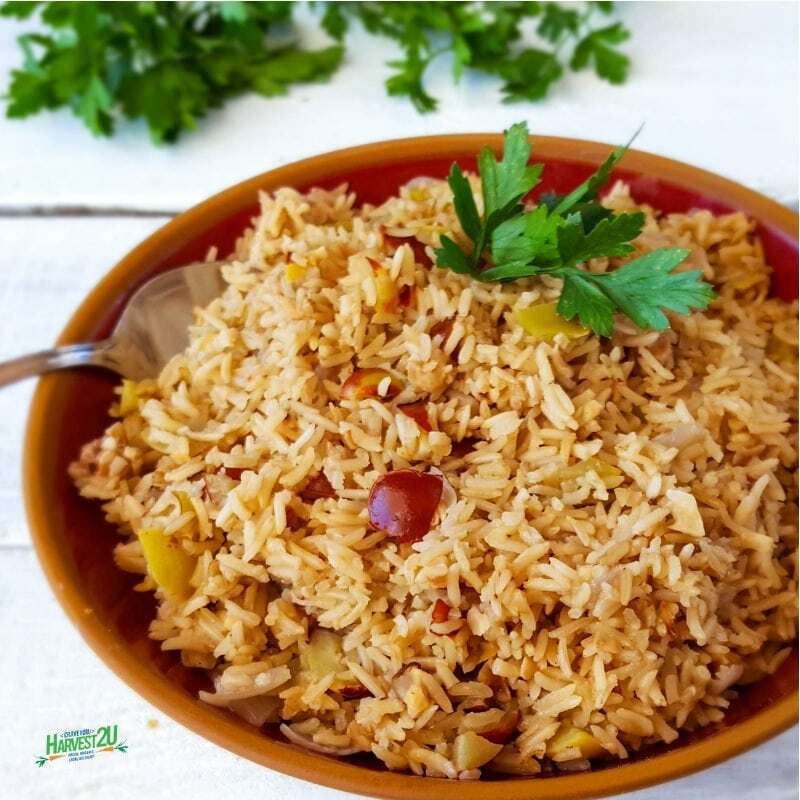 Jujube Pecan Rice Pilaf is an easy gluten-free vegan side dish flavored with toasted nuts and jujubes. Jujubes, sometimes called Chinese red dates, Korean dates or Indian dates, are a wonderful little fruit that tastes like apples when they are young and more like dates when they fully ripen. Jujubes have more vitamin C than citrus fruits and have a load of other nutrients to aide with stomach, and intestinal illness and research is showing it can help prevent cancer. For this Jujube Pecan Rice Pilaf recipe, I used quick cooking brown basmati rice, which cooks similarly to long grain white rice. If you use traditional brown rice, you will want more liquid and will need to lengthen the cooking time. Saute onions for one minute. Add chopped pecans and brown rice and cook until nuts and rice begin to get toasty about 3-5 minutes. Add stock and jujubes and bring to a boil. Reduce heat to simmer, cover the pot and let simmer 10-12 minutes until liquid is absorbed and rice is cooked.